Time again to link up with Joyce for the Wednesday Hodgepodge. She's doing a great job, isn't she? I can't remember the last wedding I attended. Last summer, I went to a reception, but the couple were married in Vegas. For those of you who were reading last summer, you may remember that the groom's cake was a snuff can. No weddings on the calendar this summer and I wasn't a summer bride. Straight. Of course, I do enjoy drinking strawberries if they're in a margarita! I love the self-checker, especially if there's a line at all of the check outs. There's 2 sides to every story. Some may also add "and somewhere in between is the truth". Barefoot, followed by flip flops. I've gotta, gotta, gotta get on the weight loss train. My brother & SIL had a going away party for their oldest son, and when I took a look at the pictures, I was not happy. Luckily I've got some mouth thing going on right now, and it's affecting my taste buds. So, I'm not real interested in eating...unless it's ice cream! We'll see how it goes! I love strawberries *straight up* too!! Over here, they taste like they're grown in a garden...not all plasticy. The fruits are beyond amazing in general!!! 1. Live in DC - favorite places, National Cathedral and Hillwood Museum -- can't stand crowds so most of the rest of it is out. 2. Last wedding - a friend's son in 2007. A friend's daughter will be married in September. I was a Christmas bride. 4. A study on the Revelation of John that starts next Monday evening! 5. Yes and no. I like the convenience, but when I opt for convenience I miss out on relationship building with the cashiers. 7. Birkenstocks unless I'm on the bike. 8. Love combining biking with geocaching. I'm seeing my neighborhood and town from a whole different perspective! I'm with you on #8-I think I'm doing better then I see a photo and ugh! good luck with getting on your train. i bet you can do it.. Have a great day.. I need to find your weight loss train. UGH! That is a magnificent photo. Good luck with the weight loss. I empathize. 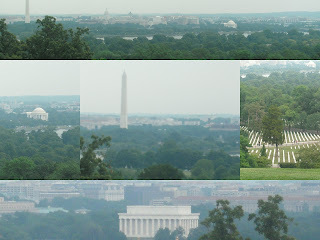 those are impressive pictures from the Lee House; I forgot about that until you posted those pictures; it is a great place to view DC! you can do it with the weight loss, especially with summer, more salads, too hot to eat! sorry about the mouth problems though! I'm trying to think my last wedding too that I went to, probably about six years ago now. enjoy your summer break!! doing nothing does sound heavenly! I stopped buying ice cream...cuz we ate it every night...and alot of it. AND just about the time I was feeling good about this healthy change...we are having our annual church picnic where we have a homemade ice cream competition. We've won the golden scoop for two year running. AND NOW...we're perfecting our recipe...which means lots of super fattening homemade ice cream every night. UGH! #6 is so true! The truth is someplace between the 2 stories! A lot of us like to be barefoot! I wonder what that means??? I'm on that weight loss train...it appears to be stalled at the moment. I'm exactly the same on number 7! I would share that strawberry margarita! But then, I'm not sure they serve those on that train... and I sure need to hop a ride on that one! I'm with you on #7 and #8. Just having a hard time getting really started on the #8 thing. I wish something was going on with my taste buds I need to kick all foods! Love strawberries straight too and now you got me thinking about Margarita's!! The "doing nothing" is the greatest part about summer, isn't it?! 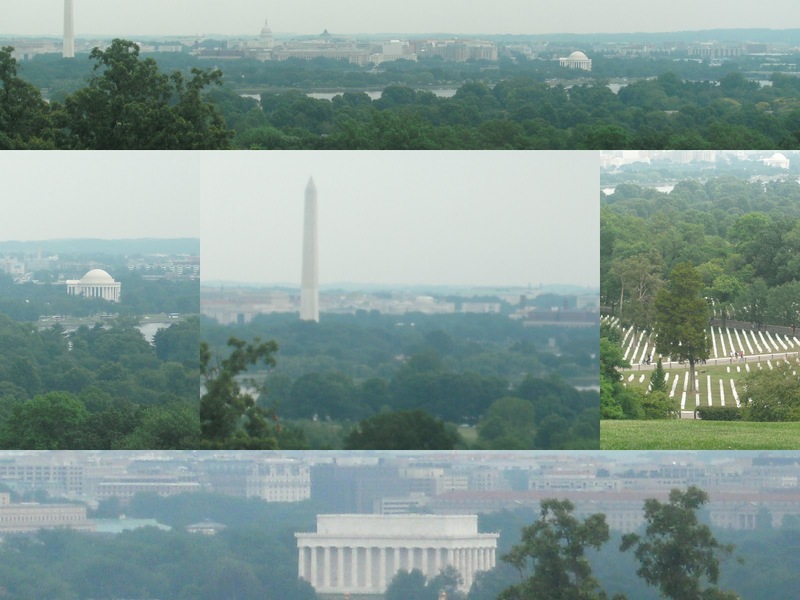 Beautiful photos of Washington, by the way. You and I have the same shoe preferences. I really want to go to DC. I'm with you on the strawberry margaritas! Hope you actually get to do nothing. That is good advice! I couldn't think of one. I am barefoot until I leave the house. I know I am trying to lose but it's so hard. With my trip coming up it's kind of useless now but I do plan to make healthy choices, except for some of the bakery in Paris!!! #3 is too funny, Mary!!! I love "Barefootin'", but sometimes it leaves me with sore feet so my fav shoes right now are Yellow Box sandal - they are sooo cushy to the feet. What is it Dr Phil says? "No matter how flat you make a pancake, there's still two sides..." Good advice! Strawberries straight up for me too...second is in a wonderful concoction called a margarita. Yummmmyy.